Number 8 Belle Vue Road is a choice Grade II listed period property dating back to the early half of the 19th century. The cottage boasts a number of stunning original features including a sweeping mahogany hall staircase, cast fireplace, sash windows and shutters, pictures rails and high ceiling rooms. This charming property commands the centre of a terrace of three period cottages in the Regency style and is located conveniently close to the town centre. The front of the property faces west, enjoying open views along Duncombe Street and of the town. Downstairs a generous hall opens into a formal living room with dual alcove shelving and newly fitted carpet. There’s a pretty eat-in kitchen featuring a window seat and wood burning stove, beech work surfaces and Belfast sink. A partly glazed door leads out to a patio area with steps leading up to a further leafy shelter ideal for al fresco dining. 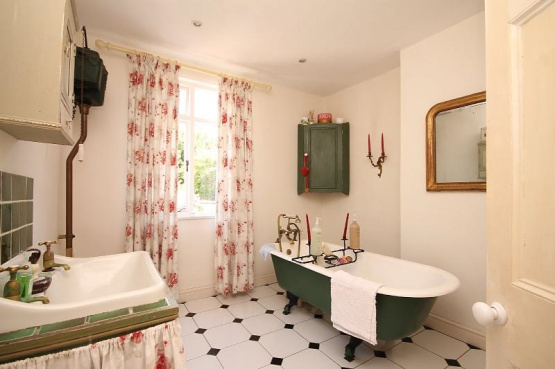 Upstairs there are 2 good sized double bedrooms and a single bedroom, served by a stunning family bathroom with roll topped bath with ball and claw feet.